It has been quite some time since I last posted, and I have a good excuse, I promise. I have been working two jobs and taking an online class, so I’ve been super busy. 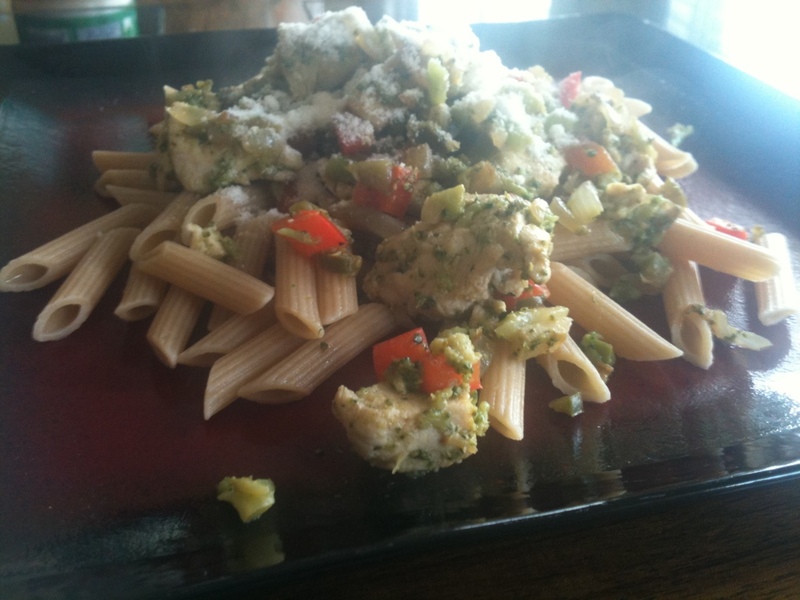 The only things that I have gotten to cook are things that I’ve already blogged about! I haven’t had much time to venture out and try anything new, but today I made sure that I made time for myself. 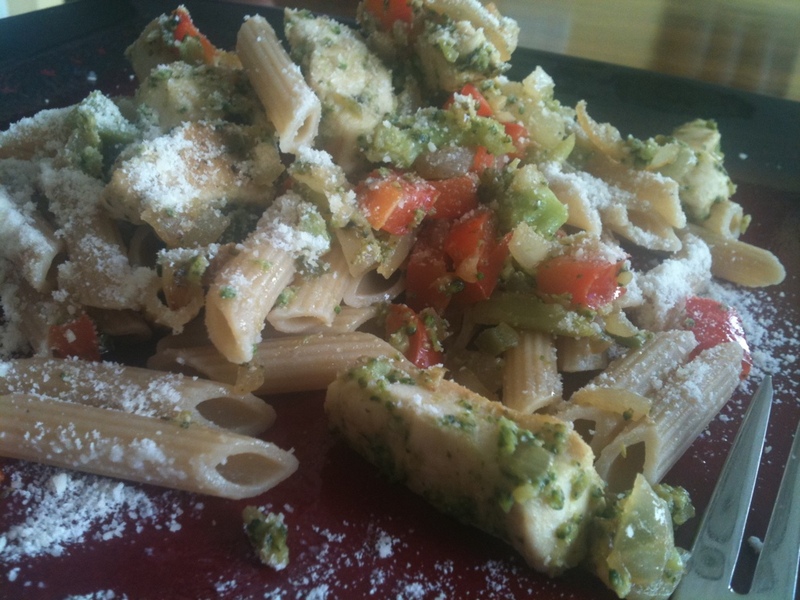 I finally broke out one of my cookbooks (QuickCook) and enjoyed a delicious pasta dish! 1. Bring a pot of water to boiling and add in the broccoli and some salt. Allow to boil for 10-15 minutes. 2. 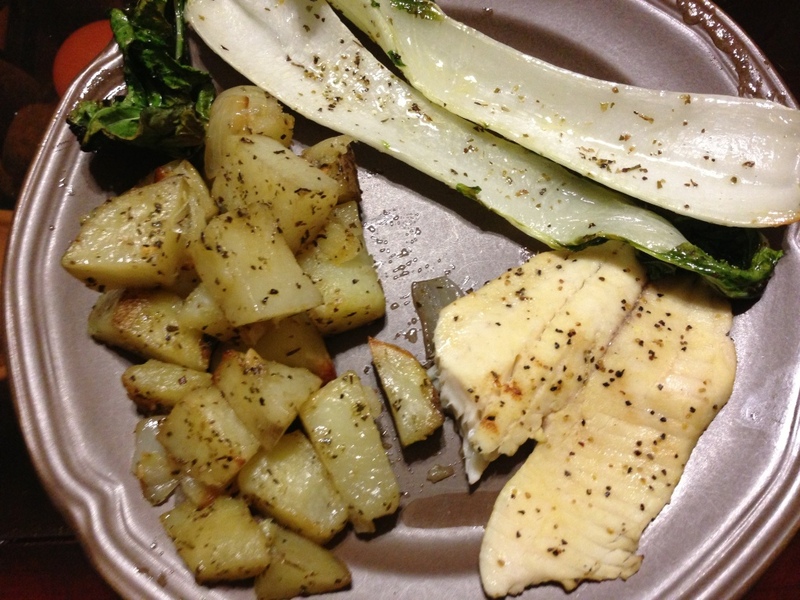 In a skillet, bring some EVOO to boiling and cook the chicken. Season only with salt and pepper. 3. 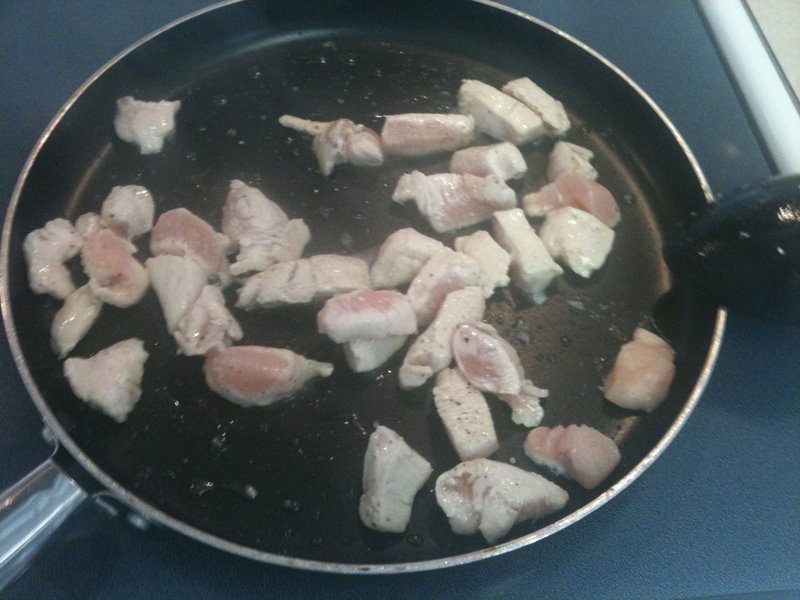 Remove chicken from the pan when done, and add in some more EVOO. Then add in the onion and red bell pepper. 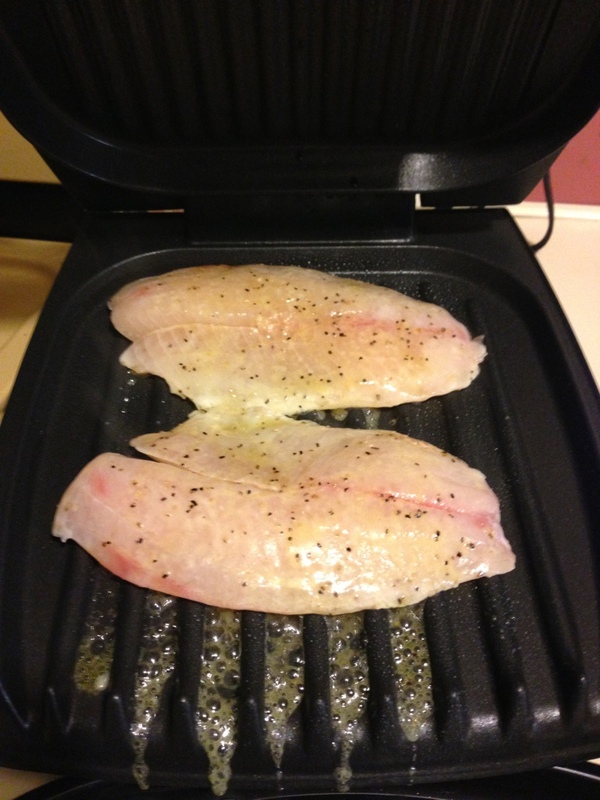 Allow to cook for about five minutes. 4. 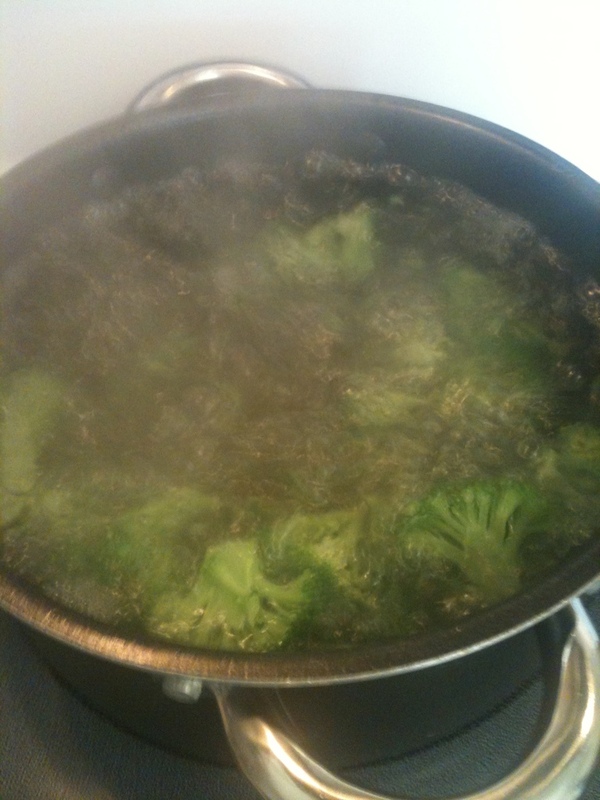 Remove broccoli from the boiling water after 10-15 minutes and drain. Add more water to the pot and cook the noodles as directed. 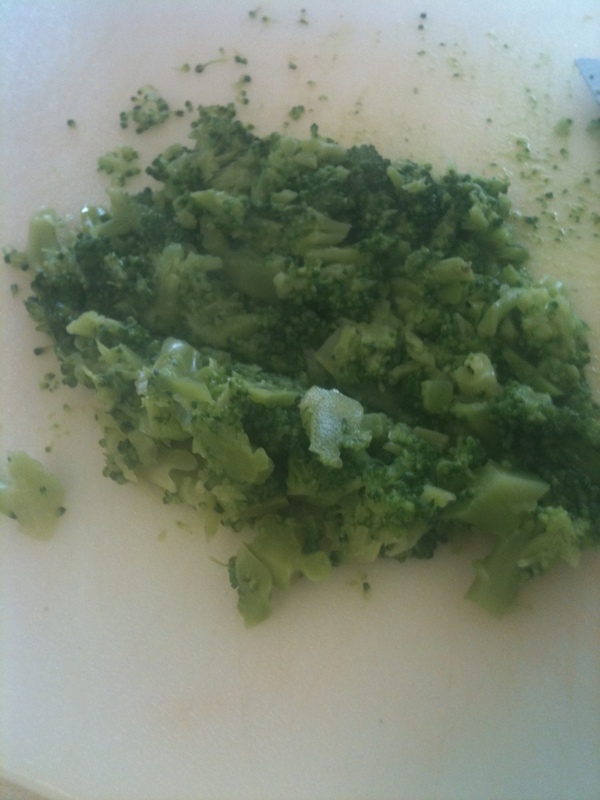 Put the broccoli on a cutting board and cut up into very fine pieces. 5. 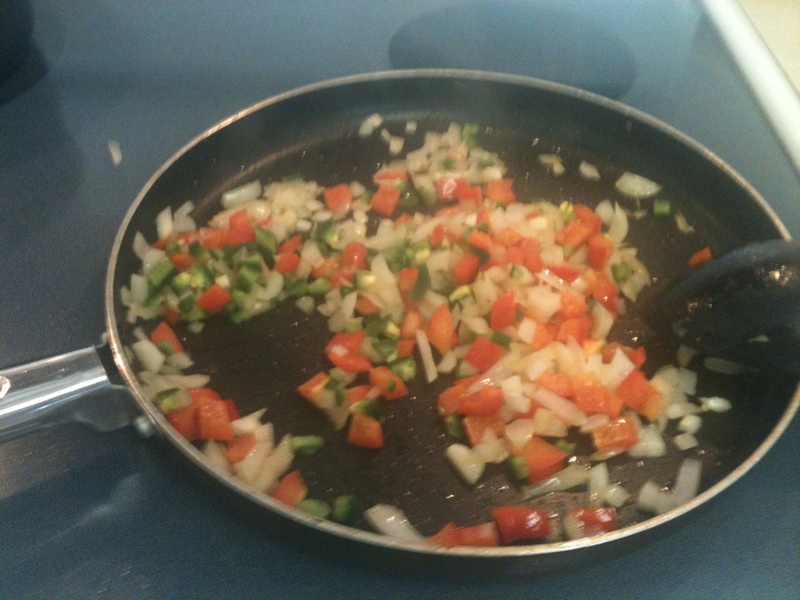 In the pan with the onions and bell pepper, after the five minutes, add the jalapeno and the cooking wine. Allow to bubble for a few minutes. 6. Add in the lemon zest and garlic. Cook for a few more minutes. 7. 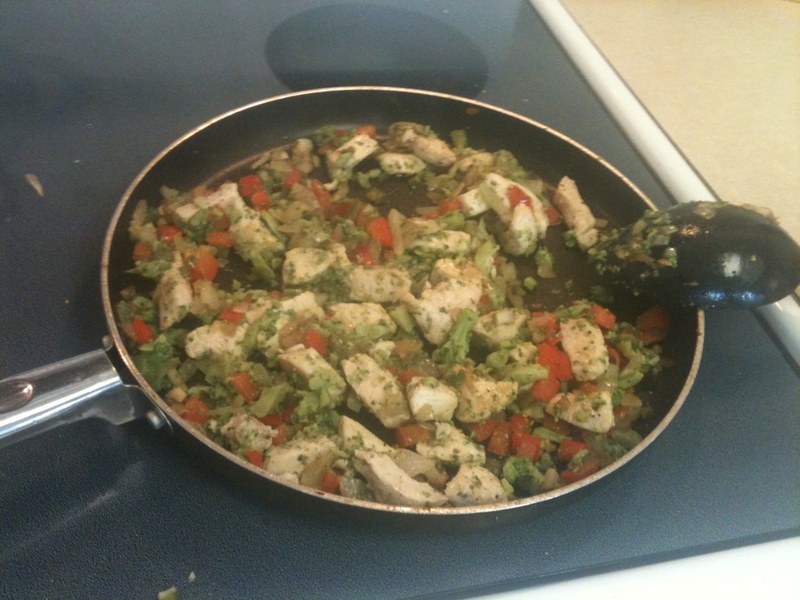 Finally, add the chicken and broccoli to the onion mixture. 8. 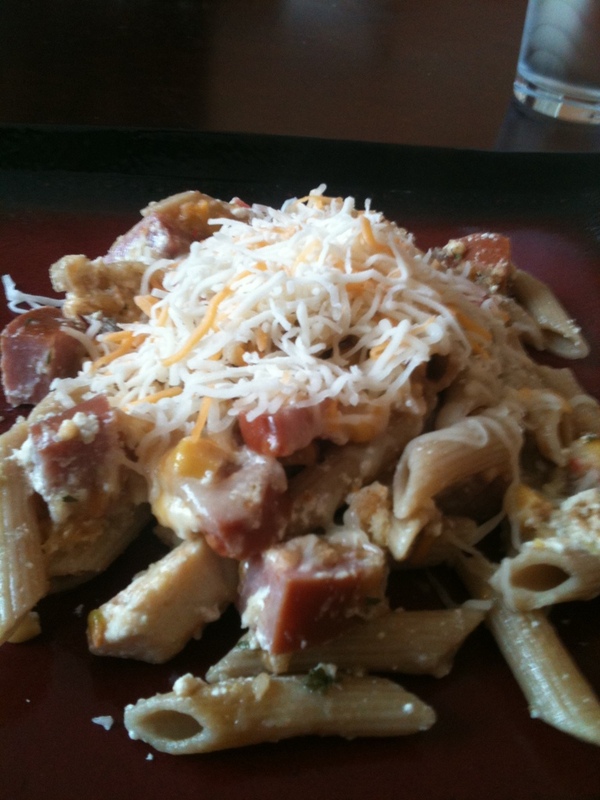 Serve on top of noodles, and top it with some Parmesan cheese. I was in the grocery store last week and I saw Greek yogurt. All of these recipes that I had pushed aside because of that ingredient all came back to me, and I bought it. Now, when I got home, I realized that I didn’t have too many things that I could pair with the Greek yogurt, but I did find one recipe that I happened to have all the ingredients for. This baked Greek Yogurt pasta is super delicious (and I’ve been kind of stuck on a pasta kick lately, if you can’t tell). 1. Cook the pasta as directed and heat oven to 375 degrees. 2. 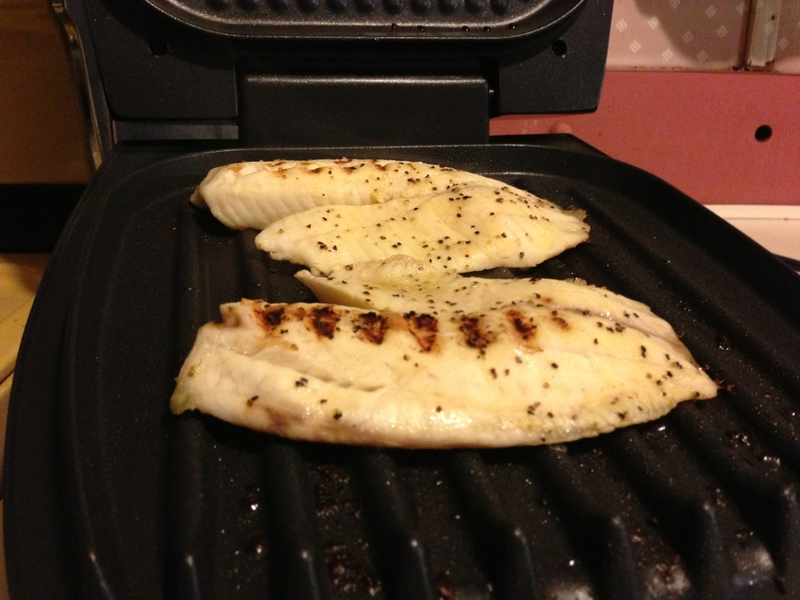 Add the EVOO and butter into a skillet. Add in the garlic and cook for 30 seconds. Then add in the chicken, and cook until no longer pink in the middle. 3. Now add in the lemon zest and the juice of the lemon. 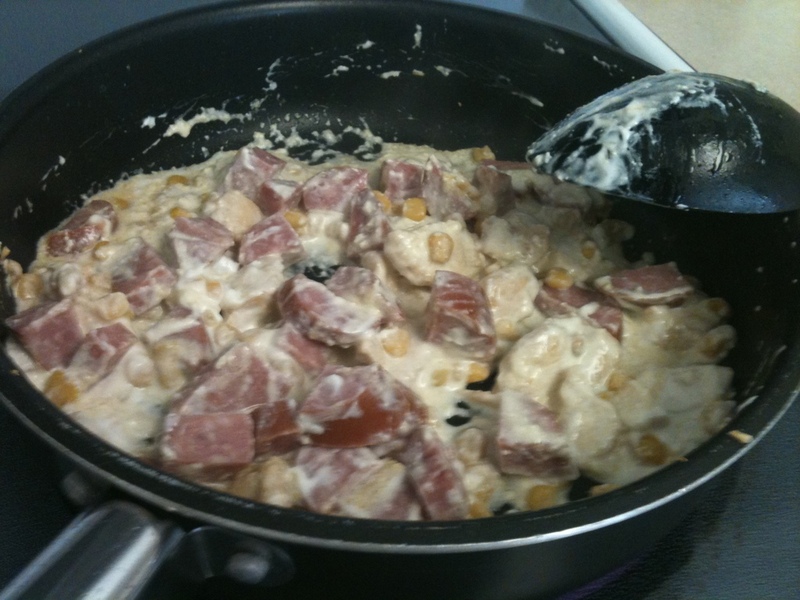 Add in the corn, Greek yogurt, and polska kielbasa. Take off heat. 4. 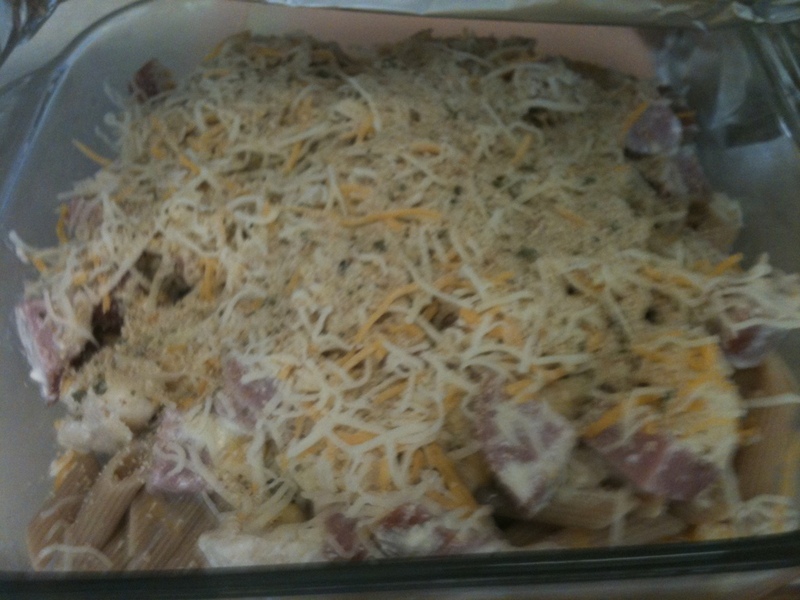 Add the noodles into a 9 x 9 baking dish and sprinkle some cheese on top of the noodles. Then add in the yogurt mixture on top of that. 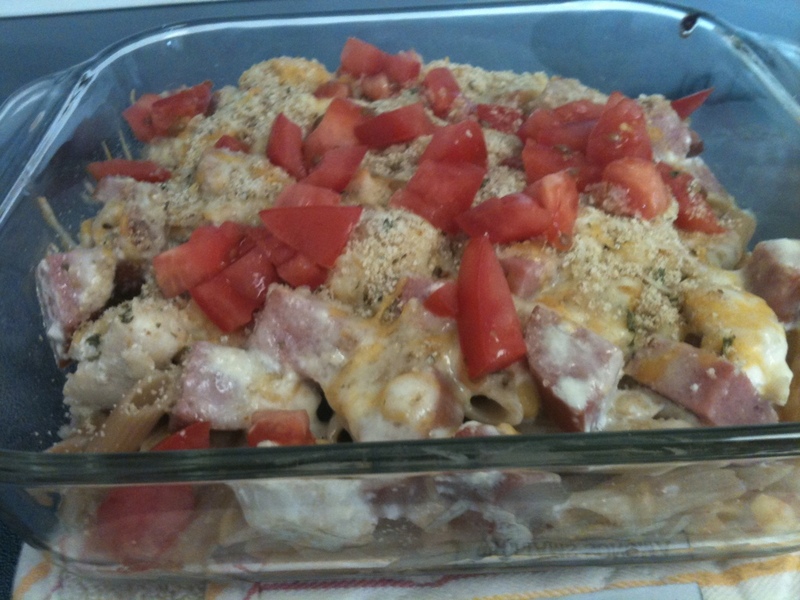 Top with some more cheese and sprinkle with seasoned breadcrumbs. 5. Cook covered for 15 minutes and then add on the tomatoes. Cook uncovered for 5 minutes. 6. 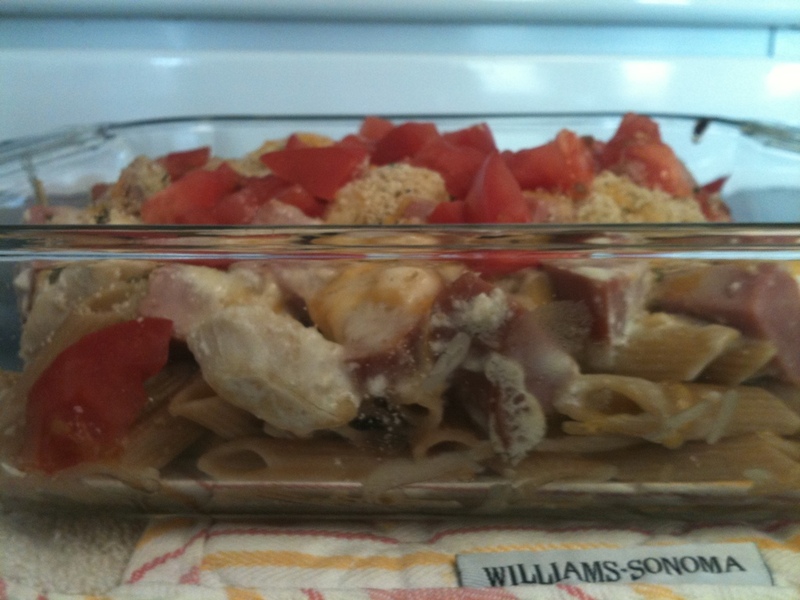 Serve with cheese on top of each dish.